We end up feeling crappy about ourselves—we feel guilt, shame and remorse that we boxed ourselves in financially and can’t seem to make sense out of our money. Debt does that to us—it’s never any fun. Though while you’re in high school, you’re not usually having to think about footing the bills, soon, in your young adult life, you will be. There will be things you need to fund every month, and things you want to fund. Paying more for our stuff is only half the trouble. At first we may only be carrying a small balance on credit cards from “splurging” on clothes or dinners out, but credit is like the dark chocolate-chip fudge ice cream in the freezer: it keeps calling to you, until suddenly you’ve finished the whole pint and you’re a bit nauseous. You know it’s not good for you, but you keep doing it. So how does a savvy girl get ready for that ‘on-your-own experience’ as a debt-free, financially-smart young woman? Here’s how. Start thinking about how to plan your expenses now. Keeping track of what you spend after the fact is way too late. You’ve got to plan. And know this now: using a Spending Plan takes just a few minutes a day—it doesn’t have to consume your life. And without all that debt-stress, you’ll be free to spend your time and energy on things that you love. You might live a bit simpler than your friends who are running up debt, but you won’t have any of their angst, guilt or money-stress. Also, when you get into a relationship, you won’t have money baggage. Want more advice? 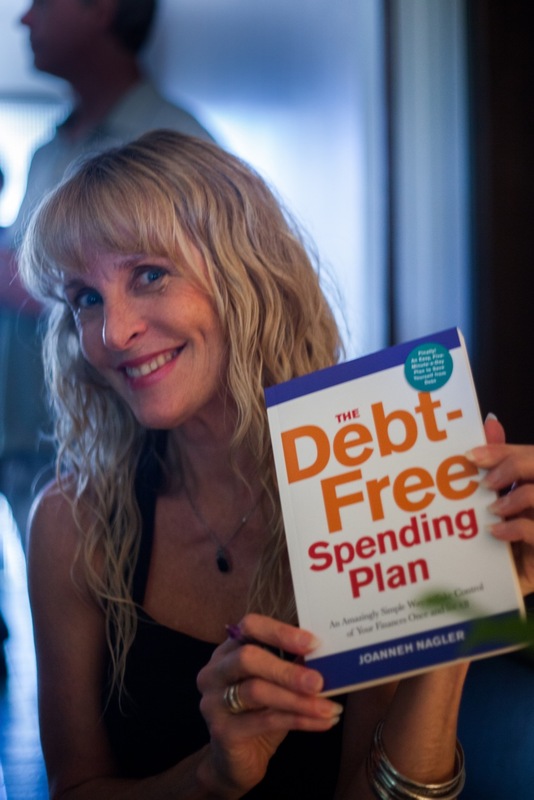 Check out Joannaeh’s book the Debt-Free Spending Plan here.